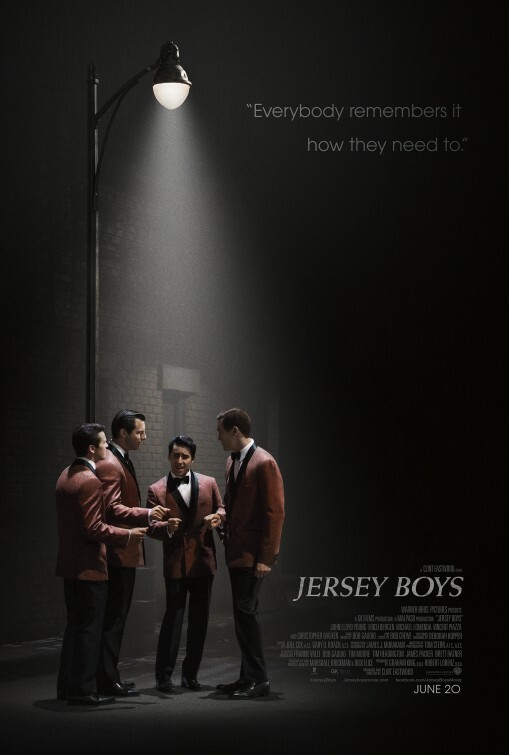 Thoughts: Many a musical has made the jump from the Broadway stage to the silver screen over the years but few would be able to exist sans songs, which makes Clint Eastwood’s adaptation of Jersey Boys such an appealing project. Obviously, to tell the story of the Frankie Valli and The Four Seasons you need a soundtrack full of their hits but the history of the group would be just as interesting, I think, without being tagged as a musical. I’ve seen the stage show twice and was impressed with how cinematic it already seemed to be so it doesn’t seem like it’ll have any trouble making the transition to movie screens. I’m always impressed at Eastwood’s efficiency as a filmmaker and he’s gathered a strong group of actors (several that have been in the stage show at one time or another). Not sure if it’s wise to release it in the middle of the summer action extravaganzas, but it could be a nice bit of counter-programming for audiences weary of 3D effects-a-thons.